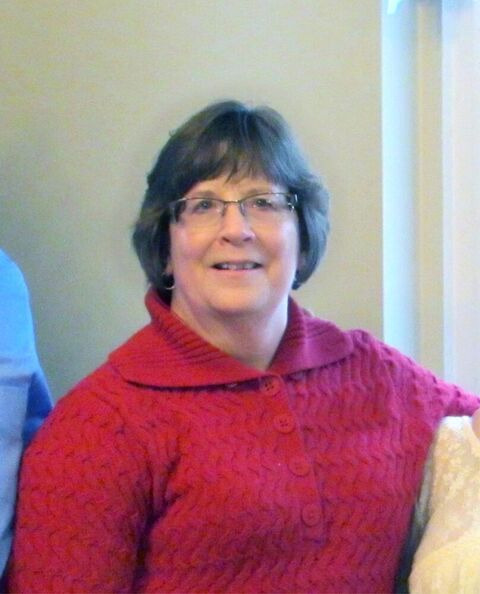 JOANN MARIE TALSMA, age 61, of Worthington, died Monday, September 17, 2018, at the Sanford Worthington Sunset Hospice Cottage. She was born in Worthington, MN on May 28, 1957 to John and Dorothy (Kroonenberg) Rutgers. She grew up on their farm outside Worthington. She attended Worthington Christian School and graduated from Worthington High School in 1975. Following graduation, Joann began working at the First National Bank of Brewster (now Rolling Hills). She continued to work at both the Brewster and Worthington locations for over 42 years, up until the time of her recent illness. In 1987, Joann married Gerald Talsma of Allendorf, IA where they resided until moving back to the acreage on the family farm in 1995. They had one son, Samuel John Talsma, born in January 1997. Gerald passed away in February 1997. Joann married Daryl Harvey in 2000 and they resided on the acreage, building a new home there in 2002. In 2011, Joann was diagnosed with breast cancer. She endured radiation, chemotherapy and surgery. She was cancer-free for 6 years until cancer returned in February 2018. Again, she endured multiple surgical procedures, radiation and chemotherapy. Joann enjoyed working with flowers both inside and outside the home. As her Grandma Effie Rutgers before her, she especially loved her African violets. Though few can, she successfully propagated and grew them, some of which came from Grandma’s original flowers. Joann also enjoyed jigsaw, crossword and Sudoku puzzles. Joann faithfully attended Worthington Christian Reformed Church all of her years. Joann loved Jesus with her whole heart. Her HOPE was built on nothing less than Jesus’ blood and righteousness. She championed this HOPE throughout all of her struggles and adopted the butterfly as her symbol of HOPE and resurrection. Her faith endured to the finish and knowing her heavenly home awaited was of great comfort to her. Left with her precious memory are her husband, Daryl Harvey, Worthington; beloved son, Samuel Talsma, Worthington; two sisters, Doris (Randy) Bulthuis, St. Cloud, MN; and Johnna (David) Hafich, Round Rock, TX; two brothers, Dennis Rutgers, Wilmont, MN; and Jerry (Rebecca) Rutgers, Rochester, MN; along with multiple nieces, nephews, great nieces and great nephews. Joann was preceded in death by her parents; her first husband, Gerald Talsma; and her older brother, Donald Rutgers. Visitation will be Wednesday from 4-7 pm at the Dingmann Funeral Home in Worthington; and also one hour prior to the service at the church on Thursday. Funeral will be Thursday at 10:30 am at the Worthington Christian Reformed Church officiated by Pastor LeRoy G. Christoffels. Burial will be in the Ransom Township Cemetery in rural Bigelow.